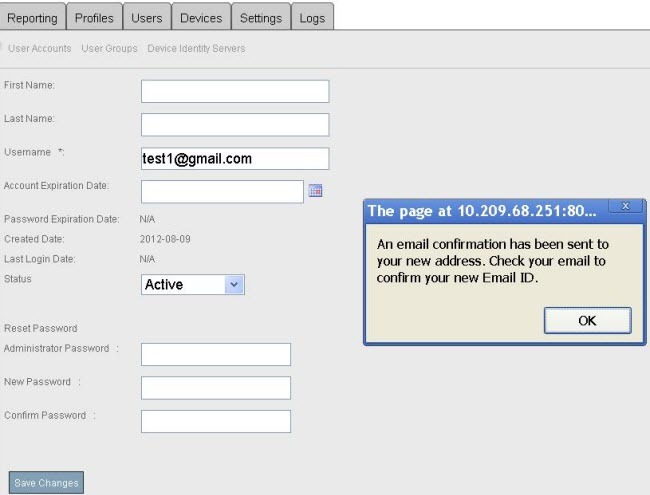 How to resend account verification e-mails via the MSG server console or dashboard. The account verification e-mail may have to be resent, if the user has not been able to verify his/her email id the first time and has lost the first account verification e-mail or when the first email used was erroneous. There are two methods to resend the account verification e-mail; one is via the MSG console and the other is via the consumer dashboard. Logon to the MSG console, go to Partner > Enterprise > User > View User, and update the e-mail, to which the account verification e-mail has to be sent, and click Save Changes. Note: This method triggers the notification, only if there is a change in the e-mail id of the user. To send the e-mail to the same id, use a dummy id, save the page, then use the original id, and save again. Note: If you do not have access to the consumer dashboard, contact your IT department or service provider. The MSG admin will use the MSG console and send the verification e-mail for you. Logon to the consumer dashboard and click Settings. 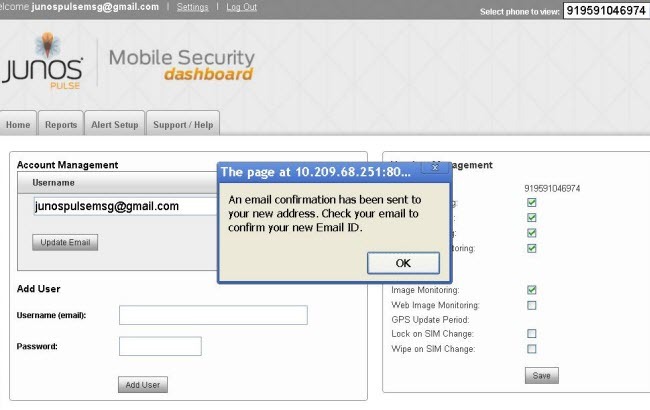 To send the confirmation e-mail to the same email, which was used to logon to the consumer dashboard, click Update Email under Account Management. To send the confirmation email to a different e-mail id, update the e-mail in the Username text field of the Account Management section and click Update Email.